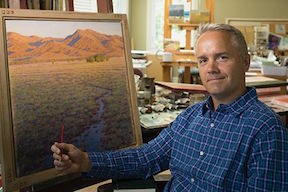 Kerry Soper is a landscape painter and associate professor of comparative arts and letters. 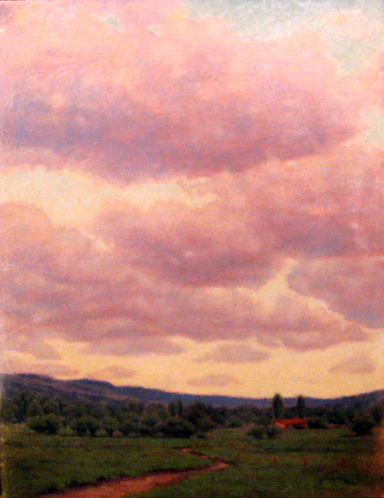 He received his Bachelor of Fine Art from Utah State University. He earned his master’s and PhD degrees in American Studies from Emory University. While in graduate school, he worked as an illustrator, doing political cartoons and illustrations for humor magazines. Soper teaches in the Interdisciplinary Humanities and American Studies programs at Brigham Young University. His research fields include satire, comedy, American art history, popular film, and comic strips. He is the author of Garry Trudeau: The Aesthetics of Satire and We Go Pogo: Walt Kelly, Politics and American Satire. He also publishes cartoons and short satiric pieces in The Chronicle of Higher Education. He was raised in Farmington, Utah. After high school his family moved to the small town of Spring City, Utah. After completing his PhD, he moved his wife, Lisa, and their children back to Spring City—they have four children. 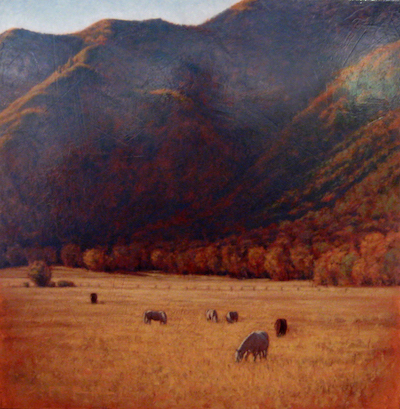 Although he now lives in Utah County, he returns to Spring City once a week to work in his studio. He is a member of The Church of Jesus Christ of Latter-day Saints and served a full-time mission to France. This page was last edited on 2 February 2017, at 21:53.